Our focus is our customers, craftsmanship, and performing our job. We take pride in what we do, which is why we do it well. 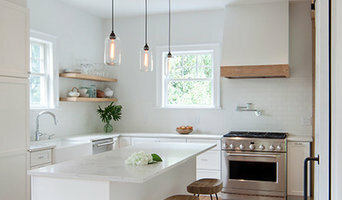 We can help you with every phase of your remodeling project. We handle all types of remodeling, whether it is painting a room, installing new flooring or restoring the old one, renovating a kitchen, bathroom, entire house, office, or a business location—we do it all! We are certified Metro Roof™ installers. Transform your home or office inside and out with help from Barry Bezner Restoration & Contracting, Inc., a remodeling contractor from Nassau, Suffolk, & Queens Counties. Dedicated to excellent customer service, rest assured that our pros will go above and beyond to bring your renovation or deck construction project to life. 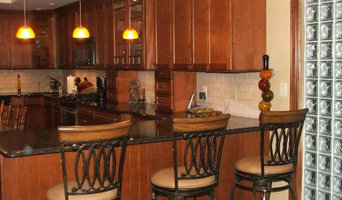 FALCON INDUSTRIES is a construction company specializing in customer homes and renovations. With a portfolio spanning the Jersey Shore to Bergen County and beyond, our New Jersey-based company has enjoyed industry success for more than 35 years under the direction of founder Brian M. Furey. From custom built homes and renovations to property management and commercial construction, Falcon Industries offers its clients the highest quality craftsmanship and personalized, service-driven experience from concept to completion. Sal Amato founded Heartwood Corp on the principle that discerning Long Island clients in the Nassau and Suffolk counties recognize the value of quality and commitment and use these as determining factors in selecting a builder or general contractor. Located in Bellmore New York Heartwood Corp. specializes in residential and commerical construction and remodeling. Founded in 1971 we are celebrating over 40 years in business. Heartwood Corp. is one of the New york areas leading construction builders and remolding companies. Heartwood Corp. can assist you in the planning and building stage or just the Building stage. From a whole contemporary waterfront home to a country-style home or just a kitchen , bath, or interior millwork Heartwood Corp. builds to reflect the individuality of its clients. We also build custom homes with your plans or Heartwood Corp. will Design Build a custom home for you . We are proud to be honered as a member of Remodeling Magazine's Big 50 Award, recognizing Heartwood Corporation as one of the top 50 remoldelers in the country. We keep up to date with the newest building materials and technology such as Geo-Thermo Heating and Air Conditioning. A family owned business since 1983. We are so proud to be the winners of Best of Houzz 2019, 2018, 2017, 2016, 2015 and 2014 for Design and Customer Service. Everyday we aim to be socially responsible with our materials and design choices. We specialize in building additions, new homes and renovations. We always build with integrity and appropriate design. Ken, the general contractor, will handle all of your building needs from permit applications, framework, plumbing, electrical, masonry, fine trim work, etc. Our sub-contractors have partnered with us for years and are experts in their field. 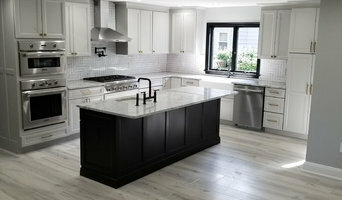 WE ARE A GENERAL HOME IMPROVEMENT COMPANY SERVICING THE COUNTIES OF NASSAU AND SUFFOLK NEW YORK IN ALL PHACES OF HOME IMPROVEMENTS, OFFERING QUALITY WORK AT AN AFFORTABLE PRICE, WE ARE RELIABLE, HONEST, RESPONSIBLE, TRUSTWORTHY, AND ALWAYS LOOKING TO LEAVE EVERY CUSTOMER SATISFIED WITH WHAT WE DO. Agate & Co. Builders is a boutique design/build construction company specializing in craftsman level, highly customized renovations. 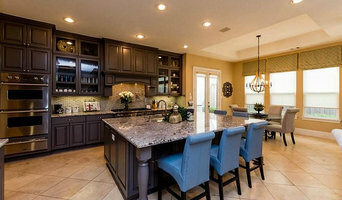 Unlike many builders and remodelers, we only work with a few select customers at a time allowing us to focus all of our attention to your specific project. This way craftsmanship is never compromised and customer service never lacks. Our goal is to combine old world craftsmanship with modern technology to create beautiful and safe living spaces that will last a lifetime. We absolutely love what we do and conduct ourselves with Honesty, Integrity, and Professionalism from start to finish. We are sure that your experience with Agate & Co. Builders will never leave you searching for another contractor again. New York state women owned business.....Summit Remodeling path to success starts with our mission and vision of the future.It affirms our purpose as a company and serves as a standard against which we weigh our actions and activities.to design and build the most beautiful and functional spaces to fulfill our clients dreams and create value to your home for years to come. our company is built on honesty, integrity and pride.